Coating and claddings have played a vital role in achieving the maximum energy class. 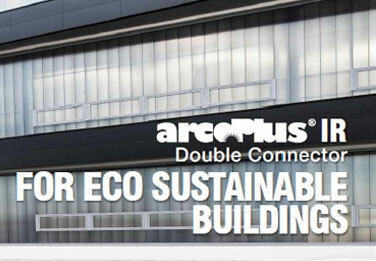 The use of ​"arcoPlus Double Connector "has made it possible to considerably decrease the heat loss of the transparent facades. 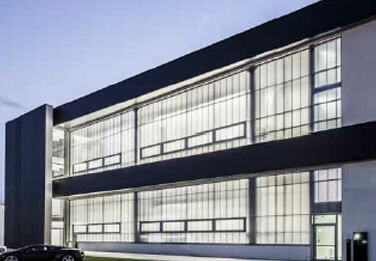 Consider that , while a high performance infix is able to reach a thermal transmittance upto 1.2 W/m2K, the polycarbonate double used on this project reached the value of 0.62 W/m2K.